This column is Manny Dylan’s write up. 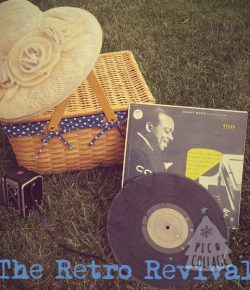 His expertise on golden oldies and alternative music mesh flawlessly with revivalist culture in the musician’s world. 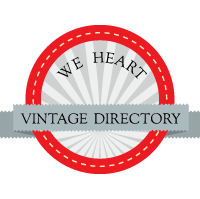 This is your one-stop hub for all things vintage in the music community. P 90’s; why I love them, and why you ought to try them. 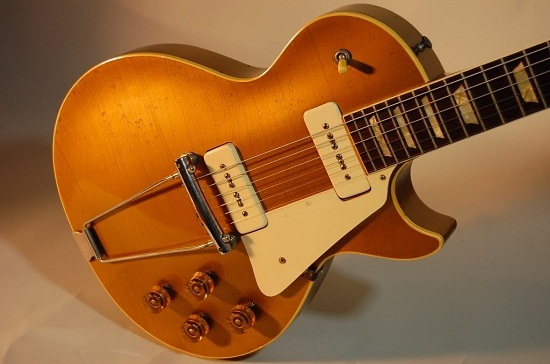 A P 90 pick up is an electro magnetic pickup that was designed for installation in Gibson’s 1948 ES-300*. They are characterized by several traits, having a single coil cut combined with traditional humbucker warmth, hum in both the neck and bridge positions(hum cancelling in the middle), and having the kind of output to really push a tube amp into a proper overdriven (not distorted) tone. My introduction to P 90’s happened when I went to the Berklee summer guitar program a while back, my roommate had a 1956 Gibson Gold top Reissue that I had the pleasure of trying out for a short while, while not a fan of Gibson scale length this guitar was pretty well set up and played beautifully. Hearing how my friends pickups responded when plugged in, and the warmth and presence that this guitars electronics had simply blew me away! Fast forward to 2012 (ish), around a week or so after I had acquired one of my favourite T style guitars, and in the same shop where I acquired that T style guitar I see a white Fender TC-90, an oddity among their usual sort of guitars. It was wired with a set of Seymour Duncan P 90’s and I was immediately hooked! I had to sadly let this one go, but I found another TC-90 in vintage white years later. When I got around to using it for my live shows, as well as for recording, I found that the pickups had a special way of pushing an amplifier into a overdriven gain stage, and getting some very delicious tones out of my rig. The blues: why does feeling low feel so good?